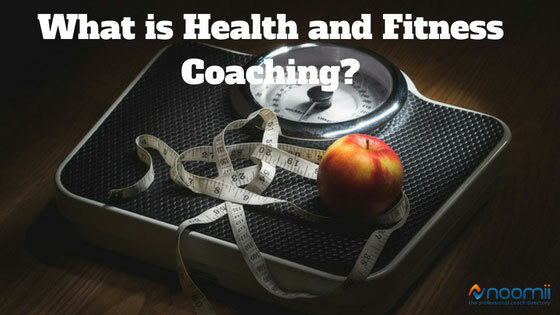 What is Health and Fitness Coaching? There is a huge range of coaches that fit in to this category. From wellness coaches, to lifestyle coaches, performance coaches, fitness and nutrition coaches, meditation coaches and on and on. Every coach will have a specific area of expertise like weight loss or fitness or nutrition and, as a coach, they will have a designation or certification that is specific to coaching, life coaching. I was a personal trainer and dancer for 15 years before becoming a coach. I became a certified as a co-active coach through CTI. I have married my knowledge and experience from personal training and dance with my coaching skills. My niche is weight-loss, lifestyle balance and creating a vision. I could not have comfortably called myself a wellness coach without both components. Whatever the style of Health and Fitness Coaching, I would say, the majority of them transform your relationship to your body. Your mental and physical habits become supportive. You become in charge of your food, fitness and health versus being powerless to them. You learn how to take care of yourself amidst the circumstances of your life. You realize how to create and connect to the mind and body that has you feeling fulfilled and satisfied and balanced. Health and Fitness Coaching transforms your relationship to your body. Your mental and physical habits become supportive. You become in charge of your food, fitness and health vs. being powerless to them. 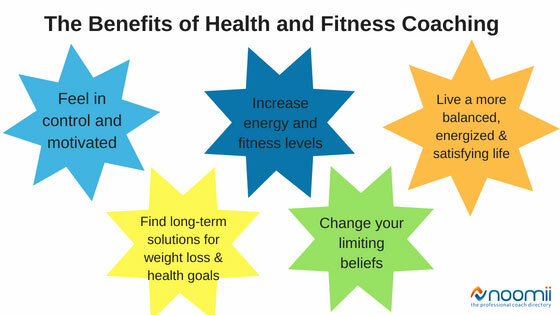 What are the Benefits of Health and Fitness Coaching and What Do We Help With? This particular style of coaching has clients go from feeling like they can never stick to a plan, like they are too busy, too old, too out of shape and burnt out to feeling in control, motivated, hopeful and empowered. Health and Fitness Coaches provide specific tools for weight loss, time management, fitness and health goals. We are equipped with the expertise of health and fitness and provide those tools through a coach approach. The difference between us and a health and fitness consultant is that we will come up with a plan based on what you want, what is happening in the rest of your life and what you are ready for. We extract all of those answers through our coaching conversations. A fitness and health consultant (without coaching) will tell you what to do, they will give you a solid plan of what works based on evidence and facts, and generally, these work, however, generally people do not stick to them or they are not sustainable. I was a trainer for 15 years before becoming certified as a coach. Before being a coach, 20% of my clients achieved their goals. Now, 100% of my clients achieve their goals. As a trainer I did not have the skills to ask the questions that would get to the heart of the matter and create change. I also did not have the permission from clients to go there. Health, Fitness and Coaching is an incredibly powerful combination. If you are ready for change, this is the avenue for you. What’s the Difference Between a Personal Trainer and a Health and Fitness Coach? When you are looking to achieve certain fitness or health goals, you can either do so by going at it alone, hiring a personal trainer or nutritionist or working with a health and fitness coach. So, what’s the difference between a personal trainer versus a health and fitness coach? A personal trainer will offer you a program that suits your fitness needs with the goal of helping you attain the physical body you want through proven exercises. A health and fitness coach will help you do the same AND have you transform how you think and feel about your body. A coach provides listening, forwarding your action and accountability that they are specifically trained in. As mentioned before, health and fitness coaches can specialize in a variety of areas, so they can give you a more tailored program that fits your needs. For example, if you are looking for support and guidance with both your physical fitness and nutrition or fitness and meditation, there is a coach out there that can fit those specific needs. Why Does Health and Fitness Coaching Work? Health and fitness coaching works because you have a space to be completely honest about what is going on for you. A place where you feel safe to reveal yourself with an active, non-judgmental and objective listener. The coach has the tools to support and guide you to where you want to go. Sometimes to discover what it is you even want. The coach champions you to go after it, to stick with it and to hold you to it. You get results because throughout the process you transform your mindset, your thought-patterns and beliefs about yourself. Your inner voice changes from sabotage to kind. Your body, fitness level, performance and health, change from the inside out. What Do We Do in Coaching Sessions? Acknowledge your victories, celebrate and keep going! How Long Do I Need a Health and Fitness Coach for? Sustainable change takes consistency over time. Just like it takes time to get out of shape and overweight, it takes time to lose weight and get in shape. I recommend making a three-month commitment and then see where you are. The most important part is that you have a good connection with your coach. Most coaches offer complimentary sample sessions. Health and fitness coaching will have you get clarity, connect you to your priorities so you can make conscious decisions and live a more balanced, energized and satisfying life. What is a Results Life Coach? How Much Does Health and Fitness Coaching Cost? When it comes to the cost of hiring a coach, the simple answer is: it depends. It depends on how long you hire the coach, how many coaching sessions you have, and the hourly rate of the coach. Most health and fitness coaches charge rates that are comparable to other helping professionals, such as physiotherapists, massage therapists, and acupuncturists, but there is more variability because the life coaching industry is less regulated. We’ll explain that in more detail below. As mentioned earlier, coaches charge rates similar to other helping professionals. Most coaches charge somewhere between $75 and $200 per hour. However, you can find coaches who fall outside of that range. You can get some value from a single life coaching session but the real benefit of hiring a coach is experienced through an ongoing relationship aimed at achieving your goals. To support their clients in a variety of ways over time, many coaches offer comprehensive monthly packages. A health and fitness coach can help you improve your life but you still need to take responsibility for the changes you want to make. They aren’t going to do the work for you. For that reason, some coaches ask for a three, six, or 12-month commitment. Before they invest the time and energy into working with you, they want to know that you are committed to improving. This is a post written by health and fitness coach Mary Crayston Fulber. LOOKING FOR A HEALTH AND FITNESS COACH?